René Burri, Canada, Montreal, 1967. © René Burri / Magnum Photos. Fondation René Burri courtesy Musée de l’Élysée. René Burri, Collage and watercolor-Paris Abu Dhabi- Egypt- 21 december 1991, 1991. © René Burri/Magnum Photos. René Burri Foundation courtesy Musée de l’Élysée. 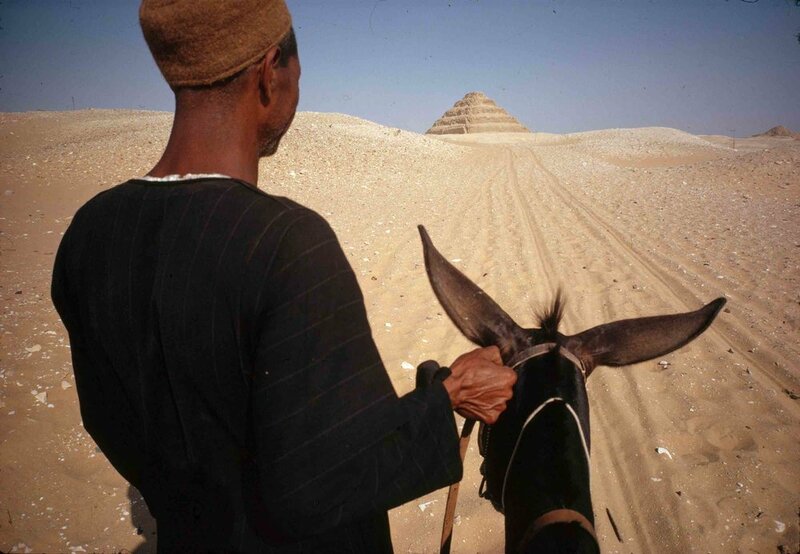 René Burri, Egypt, Saquara near Cairo, first pyramid known to man, 1962. René Burri, Brazil, Rio de Janeiro, Copacabana beach, 1958. René Burri, Rank Xerox, USA, 1967. On his first trip to Egypt in 1958, René Burri discovered the pyramid of Saqqarah. He who had grown up in the Swiss Alps was instinctively drawn to these amazing man-made wonders—mountains in the desert, but without the snow. He traveled several times to Mexico, Guatemala and Egypt to feast his eyes, photographing pyramids in black and white and color. 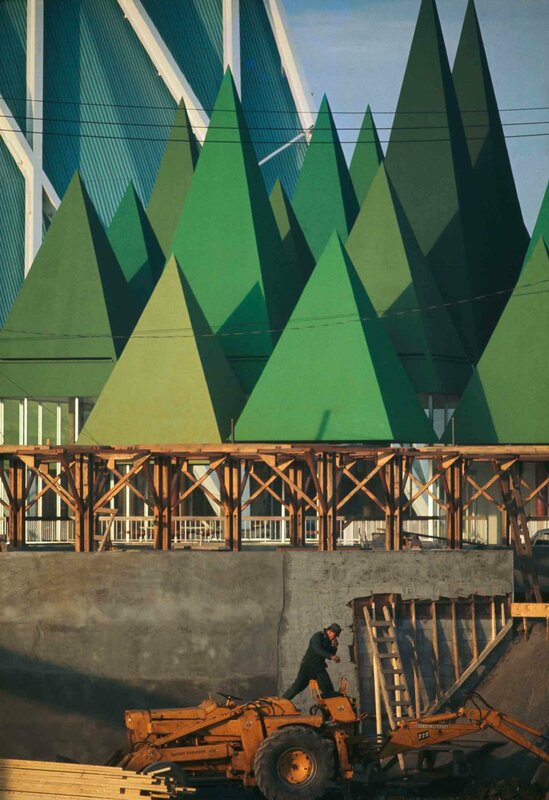 Excitedly embracing their triangular shape, his photographs are full of subconscious references to pyramids, from rooftops to wigwams, modern architecture and Zen gardens. In love with their geometry, René saw them everywhere, filling his sketchbooks with drawings of them and even collecting pyramidal objects. His passion for pyramids was his way of discovering what the mountains had hidden from him for so long: the horizon.